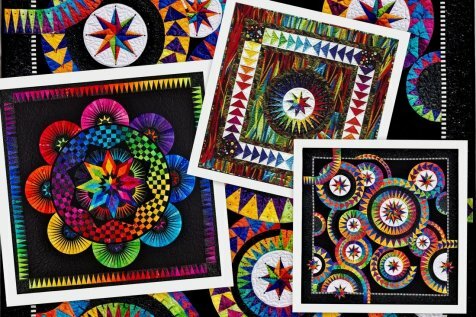 to teach us how to make her amazing BeColourful paper pieced quilts. Choose from "Happiness", "Enchanting Stars" or "Circle of Life" designs. with Jacqueline to help and support you.